If we want to take on the European Union, we have to first understand its nature. The European left faces a dilemma. Syriza’s shift from an anti-austerity party to one that follows European diktats, the unexpected electoral results in Spain, and the Brexit result have forced us to again consider our relationship to the European Union. Yanis Varoufakis and DiEM25 have one solution: rattle the cage from within the European Union to rally left movements. But their analysis fails to acknowledge the central role that nation-states still play. These states remain centers of capital accumulation and sites of democracy — the political strategy and actors needed to ensure a move away from austerity can only be organized at the local and national level. 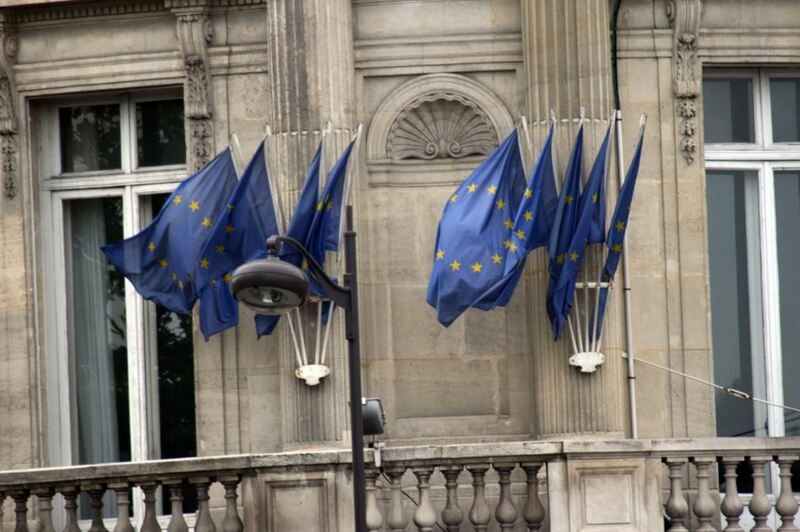 The role of the nation-state in the European Union has been long contested. Many have argued that the creation of a transnational economic bloc meant that nation-states now play an insignificant role organizing the economy. But this analysis ignores the European Union’s true foundation, which is both national and supranational. To be sure, the union was designed to establish a transnational capitalist bloc capable of competing on the world market. The euro’s adoption moved further in that direction. However, nation-states — in economic competition with one another — created this bloc to begin with. It is therefore insufficient to focus only on capital’s transnationalization; we must also understand the role national capitals play. European integration established core-periphery dynamics in which core countries devalue labor to produce and export cheap goods to peripheral markets whose economies are based on importation and non-tradeable goods. The so-called “German miracle” compressed wages and made labor relations more precarious, allowing, on the one hand, more people to work for less, and, on the other hand, cheaper products to dominate the market. Peripheral countries, in contrast, dismantled their economies’ productive sectors in exchange for easy access to credit . The common currency only accentuated these inequalities. When Germany devalued the Deutsche Mark upon the euro’s introduction, it effectively undervalued the new currency in Germany while overvaluing it in countries like Italy or Greece. This complex monetary process solidified Germany’s core position. Further, the creation of the European Central Bank — which makes it impossible for weaker national economies to devalue their currency in response to economic crises — has only deepened the peripheral economies’ dependency on core nations. This analysis does not deny that the European Union has allowed all national bourgeoisies to profit from the process of integration in various ways. But the assumption that the European Union is exclusively a transnational phenomena denies the central role that states themselves have played in its structuring. The processes of globalization did not occur beyond the state: on the contrary they were authored by them and they are primarily about their reorganization. Leo Panitch calls this the “internationalization of the state.” States continue to function as the organizing forms of capital and the market, as they enable production, distribution, communication, and exchange between banks and corporations. This was especially true after the 2008 crisis. The core policies of austerity have prompted massively interventionist national programs not in the sense that it decommodifies capital as it did for some decades through the structures of the social state and the regulation of the labor market — but precisely because states have forcibly deregulated the labor market, destroyed social programs, and, above all, absorb private debt by making it public, as in bank bailouts. In this sense, states carry out imperialist capital’s interests at the national level. Of course, the process is never one-sided: states are targeted by international policies that they themselves shape. Moreover, different nation-state forms all share a common feature: each adjusts its national policies to fit the world economy’s dynamics. Uneven development — a long-standing characteristic of capitalism — allows international competition to continue, contrary to some theories of globalization. James Meadway proposes another reason for the importance of the state in organizing the global economy. He argues that globalization has possibly reached its peak, and that capital will soon return home. Nation-states are already playing a role in this reorganization. In any case it is clear that there is no obvious contradiction between the process of reorganization of global capital and those of the nation-state. Not only is the world still composed of states, not only do they shape the global economy, but insofar as any democracy — even its non-sufficient forms — persists in relation to capitalist power, it is embedded in national and subnational political structures. The state’s relative autonomy toward capital creates a space where political confrontation with progressive outcomes can take place. This simply does not exist at the supranational level: the European Union’s structures were, from the start, emptied of democracy. The European Parliament, although elected directly by national constituencies, answers only to the structures above it. From the European Parliament comes only the need to achieve consensus at the level of the Commission or the Council. In this sense, any form of accountability at the European level works only upwards. Likewise, the euro was deliberately designed to be immune from electoral pressures. For example, the prohibition on currency devaluation according to member countries’ needs at specific times insulates monetary policy from the voting public. In this sense, the only remains of structurally democratic accountability exist solely at the level of the nation-state. Not only is the world still composed by states and their role in shaping global economy a central one, but insofar there is any democracy at all (even if non-sufficient) in relation to the power of capitalists it is embedded in political structures that exist only at the national and subnational level. The way Varoufakis formulates democracy — as a concept detached from actually existing politics and programs — makes it an empty phrase. If we talk about democracy separate from concrete and material societal changes, it can easily be co-opted by the far right. As a concrete example, we can’t say that the Brexit referendum was “undemocratic” because it was tainted by xenophobic and right-wing sound bites. But what we can say — which is a more correct and useful way of framing the problem democracy — is that democracy doesn’t only refer to how we organize political participation. Democracy creates the material conditions for equality and participation, touching on education, health, housing, economic control, equality, and the ability to decide the conditions that determine our lives: the real needs on which participation and decision-making are based. And in this sense, to rescue the remains of democracy where the structures still reflect it, we need struggles at the subnational and national level. Even DiEM’s agenda reflects this basic fact. The elected and progressive governments they call on to confront and eventually disobey the European diktats must first gain power at the national level, where the space for politics still exists. And this is where the question of priority lies. When Varoufakis argues that all levels — subnational, national, and supranational — must be taken simultaneously, he denies the material fact that social change and transformation do not occur equally in all places at the same time. This is not because it wouldn’t be desirable, but because of the concrete positioning that each country has within this world order. The European Union does not promote unity among the oppressed, but only between those who organize that oppression. Different states occupy different positions within the European Union and have varied cultural and political traditions. These concrete facts shape how their citizens can pursue transformative politics. As a result, the Left will experience uneven and sometimes contradictory developments in any progressive movement. The positions articulated within each particular relation of forces — and the different limits and constraints each experiences — will determine how we can maneuver and coordinate strategy more broadly. This is not to say that the supranational level must stay untouched or unconsidered. Internationalism founds most solid left-wing traditions, and I am not arguing that there can be exclusively national solutions to the crisis. Instead, we are discussing what spaces progressive politics can rescue in order to accumulate forces and build social majorities and enable political action within the constraints that each particular placement entails. This begins at the national level. Disobedience plays a central role in Varoufakis’s argument. I generally agree with his proposal, but disagree with how he formulates it. As with the question of democracy, disobedience must be politicized. To return to the same example, we could say that British nationalist forces disobeyed the orders of most economic and political elites when campaigning for Brexit — but what has that brought us in terms of advancing left-wing politics? Disobedience must be linked to a concrete understanding of its consequences, its results, its difficulties, and its final objectives. It cannot be a one-man show performed by elected representatives who “just say no,” nor can it be a mere rhetorical instrument. A disobedience strategy must emerge from political principles and ideas, and it needs a supportive majority willing to endure whatever outcome it may bring about. We know that the European Union is everything but a democratic structure: it imposes undemocratic policies and measures (with the central role that states play in this process as we’ve seen before) on democratically elected governments. For states to overturn austerity in the long run — by restructuring public debts, repudiating their illegitimate parts, granting public control of the banking system, nationalizing strategic sectors of the economy, taxing the rich, and so on — they will most certainly need to disobey EU laws. These measures are currently illegal under the framework of the European Union, its budget treaties, and the euro. This strategy — in contrast to Varoufakis’s — fills disobedience with clear policies that in turn must find support from a majority. When we propose defined political programs, we will not find allies either in the political groups that have shaped the European Union or in those that deploy xenophobic rhetoric to shore up their power. Disobedience needs specific politics if it is to be used to advance the position of the popular classes. Varoufakis reminds us of Marx’s and Engel’s internationalism in their Communist Manifesto when they write “workers of the world, unite.” But it is my understanding that their internationalism does not come from the denial of the concrete positioning that each working class faces. Marx and Engels actually realized the importance of nation-states, and that the structure of the nation-state is incontournable in the process of class struggle, because states are themselves incontournable in the organization of the processes of capital accumulation. Related to this is Varoufakis’s statement about Lexit supporters. But workers do not exercise free movement, as if the reality of migration within the European Union would not be compelled by workers who move looking for better wages and life conditions. In a transnational bloc composed of competing nation-states with differentiated wages, tax systems, and social structures, workers from different countries don’t move willingly — they move, as do the overwhelming majority of migrants globally, in search of better life conditions. More specifically, as intra-EU migration figures show, workers from peripheral countries tend to migrate to work in core countries’ low-paid and precarious sectors. This movement has only intensified since the 2008 crisis. Besides that, it is the European Union as such who has put into place the barbed wire and the armed guards, defending the “fortress” against anyone who is not a European citizen. Europe has built this fortress leaving humanity ashore and transforming its borders into graveyards. But this is also not a new phenomenon. It is actually an expression of one of capitalism’s contradictions: the processes of capital accumulation demands labor mobility. Where these barriers remain in place the strength of capital expansion tries to overcome them. However, there are obstacles that remain in place and that reflects the contradictory positions within the capitalist class locked inside the conflict of the economic exigence of full-mobility in the long term and the need to maintain stratification among workers, as well as the necessity of maintaining political and ideological hegemony over a divided working class in the short term. And these processes of competition among a fragmented working class happen in similar way within the European Union. With this in mind, how can we make practical sense of Marx and Engels’s sentence? It cannot mean that the working class will unite through sheer discourse, denying the concrete social and economic positions it finds itself in. Nor does it mean that workers will participate in campaigns or movements that do not have clear goals. It does mean that advancing class struggle where possible advances class struggle for all. It also means that profound transformation will only be possible if the whole world changes. It means, finally, that while solidarity remains central to class struggle, we cannot ignore the retreats and advances that this complex process will entail. For example, the expectations of an anti-austerity Syriza government sparked fear among the ruling class and hope among the popular classes. The growth of other left-wing parties in Syriza’s wake reflects precisely the domino effect that inspires workers in other places. Likewise, if workers in Germany successfully overthrow wage compression, this would fundamentally restructure the European Union’s dynamics. The questions facing the Left today are not easy to resolve. But to win social majorities we need to engage with the concrete problems facing diverse contexts. A much needed solution to the European crisis will not come out of mere rhetorical instruments like “democracy” or “disobedience,” nor will it happen ignoring the still central importance of the nation-state as the structure that organizes capital but also the remains of democratic participation.